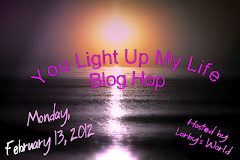 Welcome to the "Thanksgiving" Blog Hop!! We're so happy you could join us for this super-fun hop showcasing cards, layouts and projects that feature everything to be thankful for!! You'll find an array of ideas throughout the hop -- We hope you'll enjoy each and every project along the way!! If you've hopped over from Lisa , then you are in the right place!! 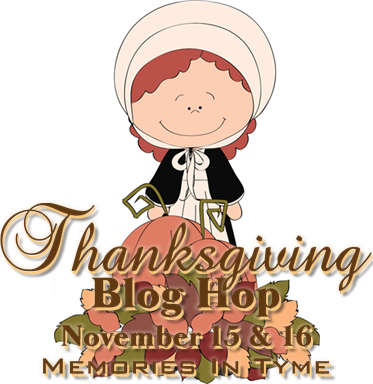 If you've just popped in to visit my blog or are reading this via email and you'd like to join our Thanksgiving FUN, then please CLICK HERE (http://www.memoriesintyme.blogspot.com/ ) to start at the beginning with Lynda's blog!! This is a TWO-DAY hop, so be sure to catch both days for maximum ideas (you'll find the entire line-up below my post)!! This is my second attempt at a Digital Layout. I decided to use pictures from last Thanksgiving. It was my newest grandsons first Thanksgiving. The software is from Creative Memories called "StoryBook Creator" 4.0 the paper and elements are from two digital collection from CM "Vintage digital Power Palette for the paper and the embellishments from the "Jewel Autumn Digital PP Additions"
Thank you again for checking out my project... Now hop on over to Mindy's for another super project! Have fun hopping and getting some awesome ideas for your holiday celebration. Great LO. Is that little Cameron? How is he doing by the way? You certainly created a beautiful lasting memory with this layout. It has such nice detail and placement. Thanks for sharing today's Fab hop. 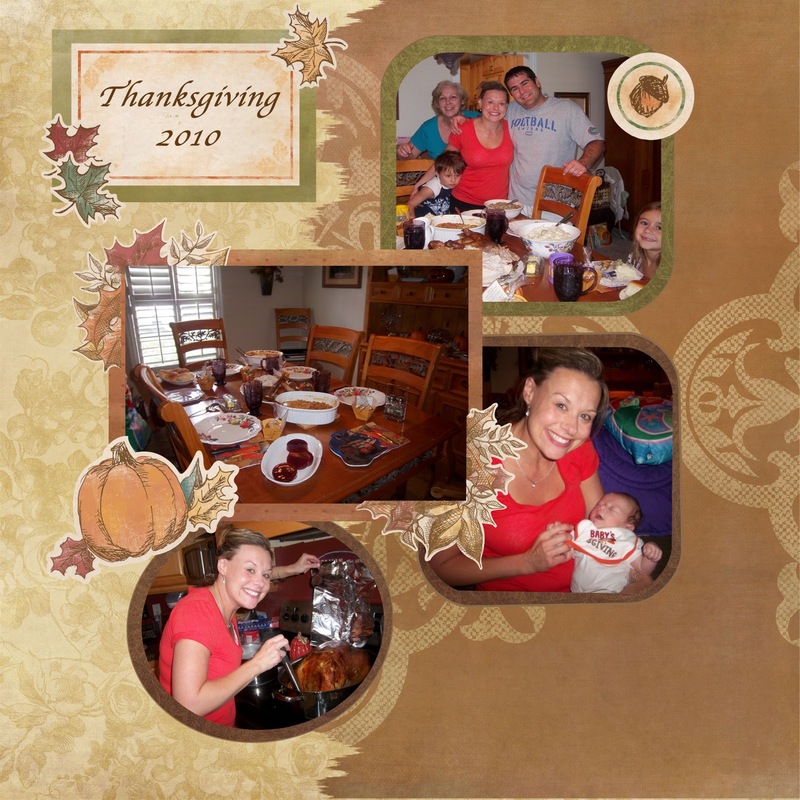 Hope your 2011 Thanksgiving is wonderful ! Great job on the digital layout. Love the way you overlapped the pictures. you did a wonderful job on the digi layout! love the colors! I love your scrapbook page! I have to give that digital scrappin a try. Your page is beautiful! Great layout! Glad to be in this hop with you! Janet --- a great layout and beautiful grandson!!! Bet you can't wait til this year with his second Thanksgiving!!! I just love these digital layouts and what a great way to commemorate your grandbaby's First Thanksgiving. So glad to be in this with you. What a very nice layout. 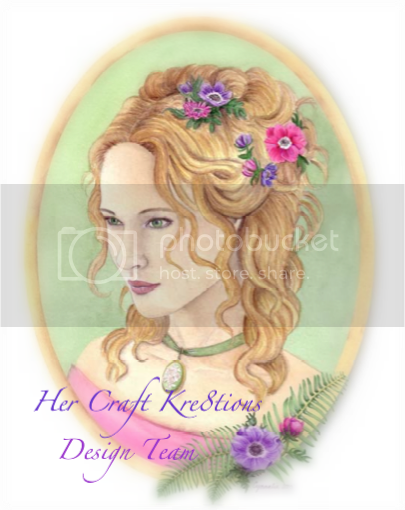 I really like the way your grouped the pictures and used the embellishments under and around the pictures. TFS. Jearise in Lorby's World. Wow you are doing great with your digital work! I love, love this layout. 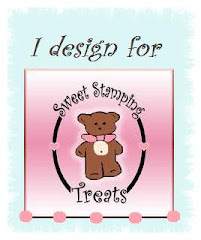 Great job with the layout and the colors and embellishments you chose. Such a cute little baby!!!! 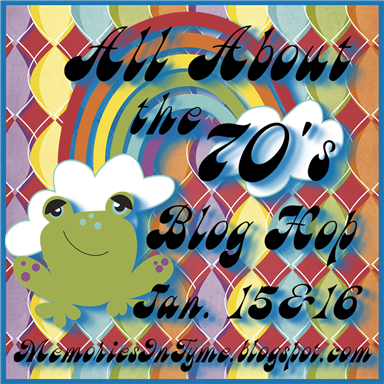 "Mimi's 60th (OMG) Birthday Party Blog Hop"